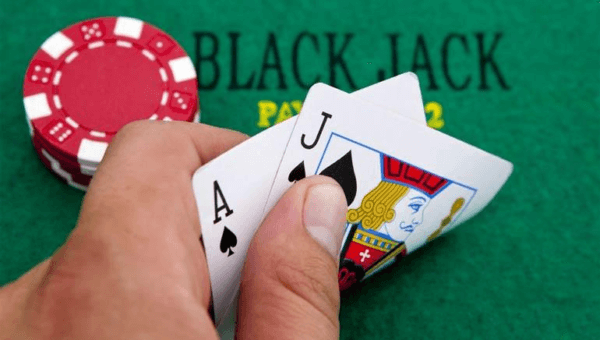 Blackjack is one of the most popular games that people play in the casinos. It does not matter if a person is playing at an online casino or a live casino, blackjack is still the king. Visitors to the casino enjoy blackjack because it combines skill with a little bit of luck. A player can use their knowledge of the game to do well, but if they take a few risks and manage to get lucky, the amount they can win will grow. In order to do well a player needs to have a combination of knowledge of the rules of the game, an understanding of how to play and an idea of when to risk more money. These are the things that every player should take the time to learn. The basic rules of the game are simple. A player is dealt two cars. Face cards count as 10, the number cards count their number and Aces can be a 1 or 11. The two cards are totaled together. The object of the game is to get as close to 21 as possible. If a player wants they can ask the dealer for more cards. As long as their total is not over 21, they have a chance to win. In order to win, the player needs to be closer to 21 than the dealer. The dealer is also dealt 2 cards. They will draw more cards if they have a total of 16 or less. If they have more than 16, they will not draw any cards. This rule is the most common rule for casinos although the numbers can vary at times. When a player wins, they are paid out at even odds. The only time a player wins more is if they are dealt a blackjack. A blackjack is when the two cards that are dealt total 21. This hand is paid out at odds of 3 to 2. If the dealer and the player have the same total, it is called a push and the bets are returned. A player places their bet before the hand is dealt. Once the hand is dealt they have a few options. There are times when they can place additional bets by splitting their cards or by doubling down. A player also needs to decide if they want to draw any cards. This is the most difficult part of the game. The choice to draw card will depend on many factors including what cards have been played in previous hands, what cards the dealer is showing and how much risk a player wants to take. In order to do well a player should follow some type of strategy. It could be a strategy that involves betting or one that involves counting cards. The key is to make consistent decisions to help you win over the course of an evening of playing. Blackjack players need to understand that there will be times when they win and times when they lose. The goal should be to have more winning times than losing times. There is one other key that every winning blackjack player will tell people. If you get ahead, put the money you have won in your pocket. It is the best way to be a consistent winner at the blackjack tables.